In order to help y'all stay cool, we've been looking into some moisture wicking shirts that the staff could wear as an alternative to our heavier cotton staff shirts. 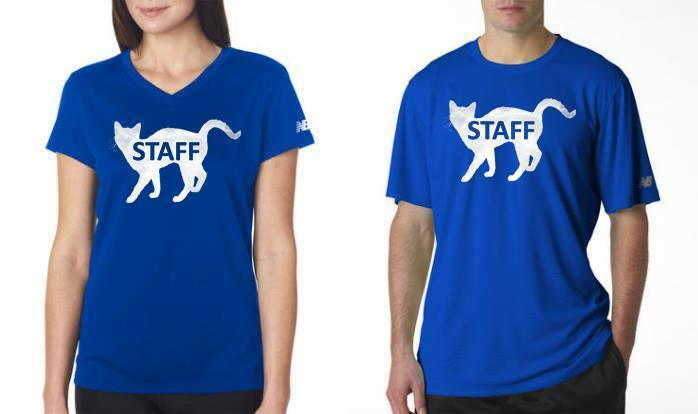 The new shirts would be the same royal blue color and have the same design as our current staff shirts (dog design only), but they'd breathe and get rid of the sweat much better than our current shirts. If you're interested in ordering shirts, please have your order in by MAY 1st. * Ladies shirts may run a little small. ** PAYMENT MUST BE RECEIVED IMMEDIATELY UPON ORDERING.